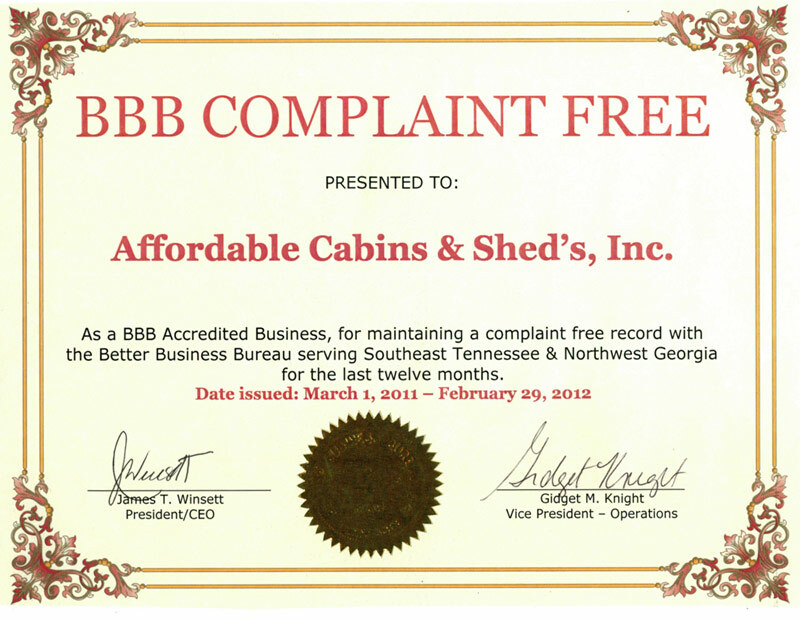 We invite you to peruse a selection of sheds we offer. 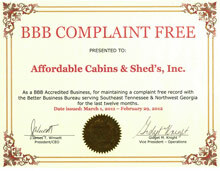 Affordable Cabins and Sheds has a size and style that will fit your lifestyle and needs. If you find a model you would like, please call us today to place your order. All sheds are assembled on your property. 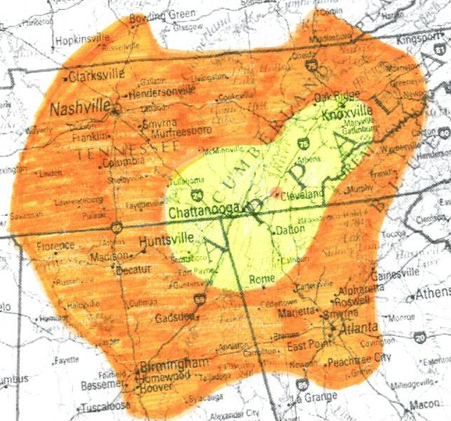 Call: 423.299.9228 for more information on our products.